If you are someone who knows the importance of personal development then you might be well aware that positive self-talk can play a vital role to help children build a healthy self-esteem. 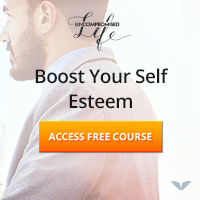 In my post on self-esteem building exercises, I have discussed how our life depends on the self-image we have formed in our subconscious mind. There are many ways using which you can change these beliefs present in your inner mind that make you who you are now, but since our childhood has a lot to do with how we see ourselves innately, you can help kids to have the right mindset for achieving success in their life. Though it is easy to formulate the self-talk that an adult can use, it often is very confusing to teach the same to kids because their way of thinking is very different from us, so we need a method that is most appropriate for them. Here I will share with you some tips, examples, and techniques to teach positive self-talk to children based on what I have learned from some very good sources. Before we discuss how to teach this method to kids, I want you to understand some important things about how children’s mind works. 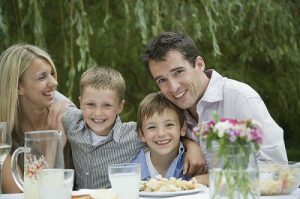 Small kids cannot make use of the self-talks because their mind is not developed enough to take control, so they form their beliefs based on what kind of thoughts people pass on to them, the same holds true for the big kids (after the age of 4 on an average) but they can implement the self-talk exercises on their own. Kids have a few authority figures in their life, these people can be from that child’s family or society, these are people whom they trust and follow. 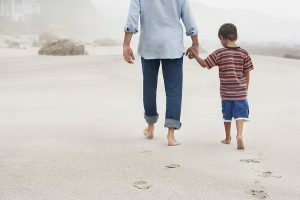 So, if you are an authority figure to a kid, which means if they connect with you deeply that your thoughts can affect their mind, then only these types of personal development activities can work well. Of course, parents always play this role if they have been with their kids while they were growing up, but do you remember a coach, a teacher or someone who used to have a great impact on your mind? There are some people from my childhood in front of whom I still feel like a kid, those are the authority figures. More important than what you teach them is to live according to it, kids can get affected by your thoughts and emotions, so pretending does not work well. 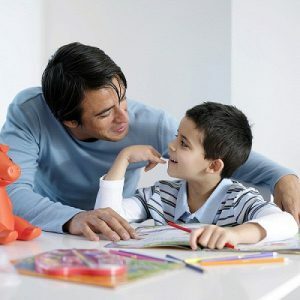 Keep an eye on the kid whom you want to teach this particular method and communicate with them enough to find out what type of beliefs they are forming, based on this you will be deciding what type of self-talk would be right for them. Watch what their strengths and weaknesses are so that you could make a sense of what beliefs are lowering their faith in their own abilities. When you hear them saying something negative like “I cannot do this”, “I am a loser”, “I am not good at sports” etc. Tell them that their own thoughts are the reason behind their failure in any particular area. 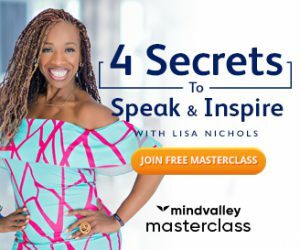 Teach them that repeated usage of positive thoughts can work like a magic and then offer them a new statement that they can use whenever they have those types of thoughts again. Also, keep in mind to not force something on them, if they are being negative because they don’t like doing something then just simply try to make them understand the importance of that particular thing first and also give them enough freedom to decide after that. Telling them what is needed to be done is not enough, you need to keep a check on whether they are implementing what you have taught or not. You need to patiently remind them that they are using the same type of words again and not doing what you told them. Some people get frustrated here, but you need to be persistent in encouraging them to use these affirmations because even we adults need reminders for such things then how can we expect little kids to learn a new habit quickly? This is probably the most important thing, the magic lies in believing and not just in words. How can you help someone to believe in their own abilities? By believing in them! I repeat..How can you help someone to believe in their own abilities? – By believing in them! I used to be very weak in mathematics as a kid, but then this one day a new teacher came to our class on whom I had some very good first impressions by answering a few questions. She was shocked to see my poor scores and thought that I am capable of achieving much more than that, she believed me to be a bright student who has lost his way, that year I performed so well that even the top scorers were afraid of me. This is a lot like how the beliefs of Morpheus and Trinity affected Neo in the movie matrix, though we are not inside a Matrix (hopefully :X), our mind works exactly like that. When it comes to kids, always make sure that you are not imposing something forcefully on them, motivating them is a different thing and putting them under pressure is another. So when you ever feel that this whole self-talk thing seems like they are doing it not for themselves but for you, ease things up and let them know that you love them as they are. This should not become something they do for your approval because that could result in another psychological problem where they will start to accomplish things in order to get approval from other people rather than for their own happiness.